Consonant Cluster Reduction and Default Singulars: Prototypical Vernacular Universals? How Diagnostic Are English Universals? The Regularisation of the Hiatus Resolution System in British English: A Contact-Induced ‘Vernacular Universal’? 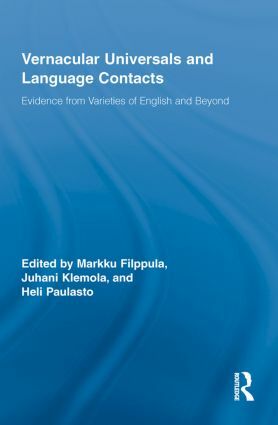 Why Universals Versus Contact-induced Change?